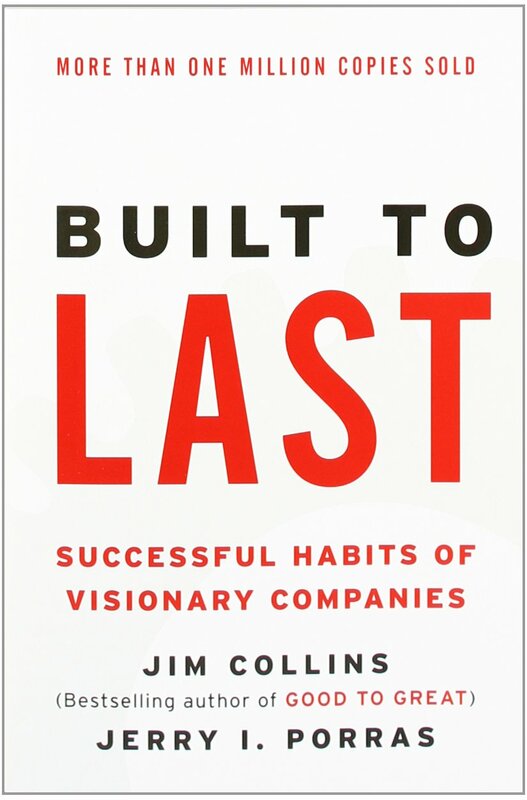 Built to Last by Jim Collins and Jerry Porras is a research book. In the book, it researched some of the successful companies such as 3M, P&G, Sony, and etc. It use a comparison method to identity why some companies become successful and some companies failed in the same industry. I really like this book because in the end of each chapters, it has a applicational sections for CEO, managers, and entrepreneurs. It helps me to reflect on how to manage the team with a vision better. You can learn from success but you have to work at it; it’s a lot easier to learn from failure. A company should not change its core value in response to market change; rather, it should change its market. Core ideology need only be meaningful and inspirational to people inside the organization… it’s the people inside the organization that need to be compelled by the core values and purpose to generate long-term commitment to the organization’s success. Ever since the explosion of social networks, people have more interest in start ups. There are a lot of discussions on how to start a successful startups and how to build a successful product. It creates a whole new set of “startup language” in the hotbed of startups, San Francisco. Terms such as: Incubate, Pivot, Disruptive, Lean Startup, Valuation, Scaleable. While I was reading this book, I found these are just fantasying words that are trying to sell by marketing department. Note on this: Sony started by a group of people who just want to start a company without any products in mind. Anyway, I recommend those who wants to start a company to read this book before reading any other startup books. This entry was posted in General on February 15, 2015 by Kennith. I recently got an early access for the Sling TV service. If you are not familiar with the Sling TV, the Sling TV service is basically streaming live cable television (legally) over the Internet. As long as you have Internet access from your computer or smart phone, you can watch cable television from your prefer device at your favorable location. The basic package includes ESPN, TNT, TBS, HGTV, and Food network. These are the TV channels I used to watch when I was unwillingly subscribe through the cable Internet provider. I did not like the Internet service provider tried to lock me in with the “discount” when I bundle the service. I did not like I needed to “threaten” to cancel the service in order to get a good rate every 6 months. (Yes, I have been paying full price.) For entertainment, I still can rely on Netflix, Amazon, and Google play, but one thing I am missing is the sports channels. I like watching NBA. So I subscribe to the NBA League Pass. It did not work out too well. All the good games are blacked out by the national TV coverage. I still mange to resist subscribing the TV cable service because I just did not like the idea that I am paying for some channels that I have no interest with and I absolutely did not like the TV cable box and remote. I waited and now Sling TV came along. It’s the perfect product that I am willing to pay for. Now I can watch ESPN and TNT for the NBA coverage. The HGTV for background noise and TBS for Conan. Although the sign up process is still pretty old school, I had to call an agent (with an elegant British accent) to get my account activated. The streaming is not over the browser but I had to download a program and the app is not in the app store yet. However, I think all these will be improved when Sling TV is publicly accessible. The streaming is very smooth, it’s just like watching live TV. A simple hook up of my laptop to the TV, a wireless keyboard and mouse, it’s perfect. Now, I will watch the NBA all star game over the Sling TV service. This entry was posted in General and tagged sling tv on February 3, 2015 by Kennith.